The item is in stock and available for immediate shipping. special Shipping Items that are very large, very heavy or very delicate will be given special shipping rates depending on the shipping destination. These items may include selected printers, lighting kits, etc. that are simply too big or heavy to be shipped using the oversized rates. Got a major shoot? This is your tripod. 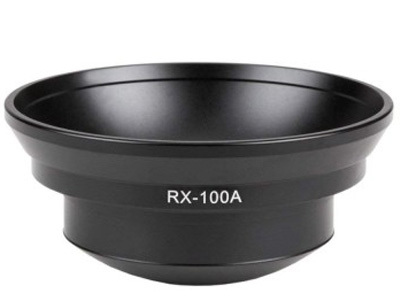 Going to shoot some wildlife with your largest lens? This is your tripod? Video productions? This is it! 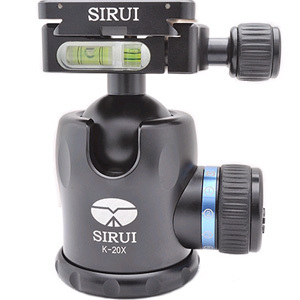 The R-5214X Carbon Fiber Tripod from Sirui is a heavy-duty camera support that can hold up to 66.1 lb and extends to 78.7". 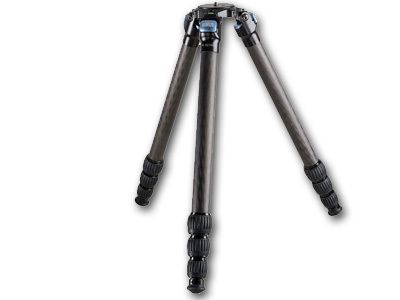 Made from 10x carbon fibre, the tripod's 4-section legs have twist locks to adjust each leg's height individually. 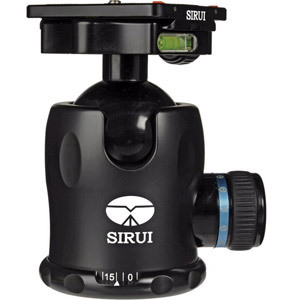 The three-point locking platform system can be swapped out for the included 75mm adapter bowl, allowing you to attach a photo or video head. Pull-out locks set the leg angles in three different positions, and at its widest position the platform sits at just 3.9" above the ground. The rubber feet can be replaced with the included spiked feet, so the tripod can be used on a variety of surfaces. Weight can be hung from the ballast hook on the centre column for additional stability, and a bull's eye bubble helps to ensure your camera is level. 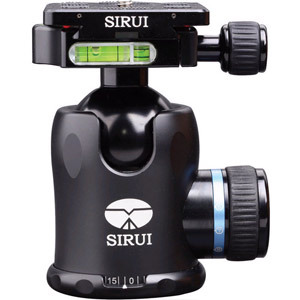 Included with the tripod is a carrying case, padded shoulder strap, and a tool kit.